According to verse 10 the signs and wonders of the man of lawlessness deceive those who are perishing. Why? Why are they so vulnerable? 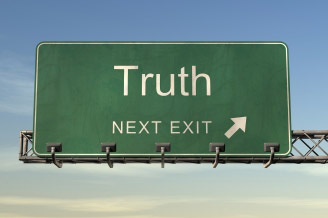 Why do many professing Christians leave the truth and follow falsehood? Paul’s answer at the end of verse 10 is that they refuse to love the truth (literally: they did not welcome a love for the truth). Notice: it is not merely an issue of knowing or believing in a merely mental sense: it is an issue of loving. Look at verse 12: ” . . . so that all may be condemned who did not believe the truth but had pleasure in unrighteousness.” The opposite of believing the truth is delighting in evil. We can be sure that when the man of lawlessness comes, his signs and wonders will be used to support claims that appeal to our natural desires. Therefore the only defense against this appeal will be a deeper desire for God. If Christ is our portion and our treasure, if he satisfies our longings, and if we love the glory of his gospel, then the mystery of lawlessness will not overcome us, and our love will not grow cold and we will endure to the end and be saved. May the Lord grant us all to receive the love of the truth. Amen. Chandler: Jesus tends to be for people who are really a mess.